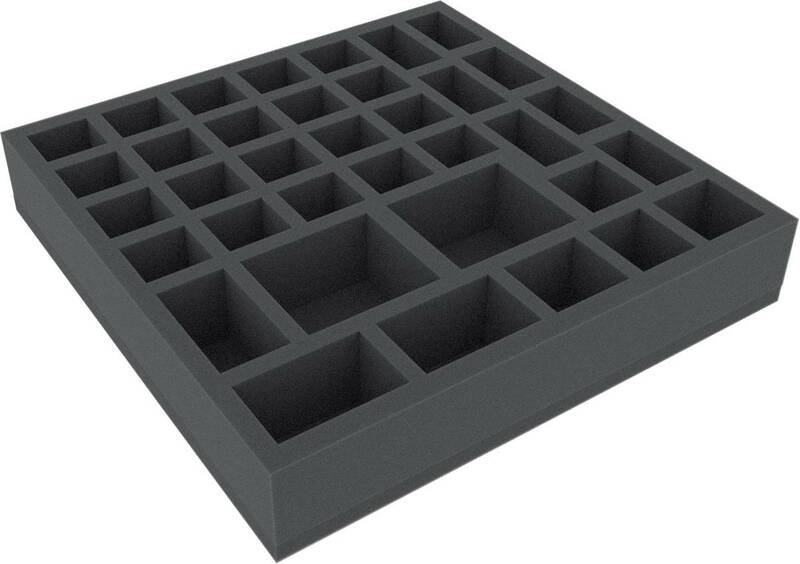 This foam tray has 36 compartments for safe storage and clear organization of small board game components like markers, tokens and dice. The tray has the dimensions: 285 mm x 285 mm x 50 mm total height (40 mm usable height + 10 mm foam base). It fits many board game boxes.